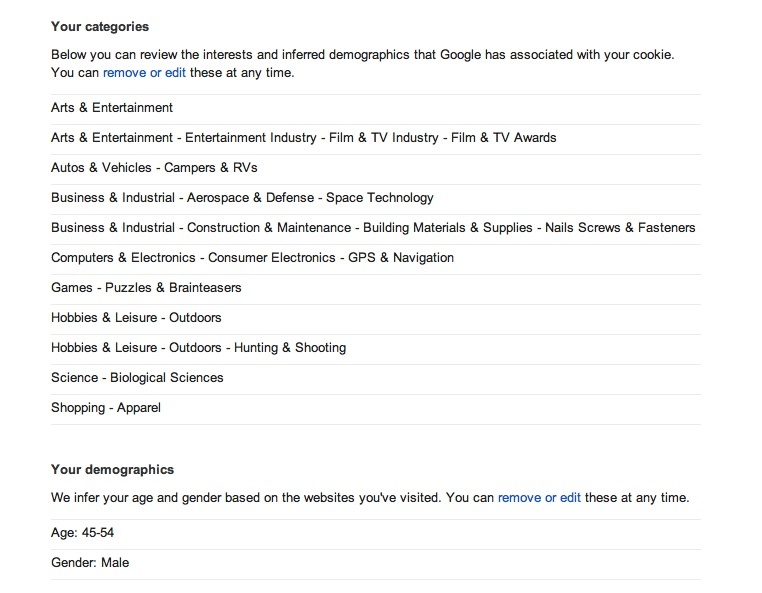 On the one hand, I'm rather pleased to be outside of the google profiling analyses. On the other, like you, I might have found who they *think* I am (or interested in) rather intriguing...or insulting! I imagine they decided to assume you have testicles because there's nothing overtly associated with females in your categories.